As lovers of the art of the party, we are always thinking about what makes a good party. Understanding the event industry is part of the job, but it got us thinking… How do professional event planners go about selecting party rentals for an event? What does that process look like? Enter Alchemy Events. These ladies provide a host of services, including event production, day-of coordination, venue location and consulting. They have it down to a time-tested formula and naturally, we need to know how they’d go about choosing their top 5 essential party rentals. 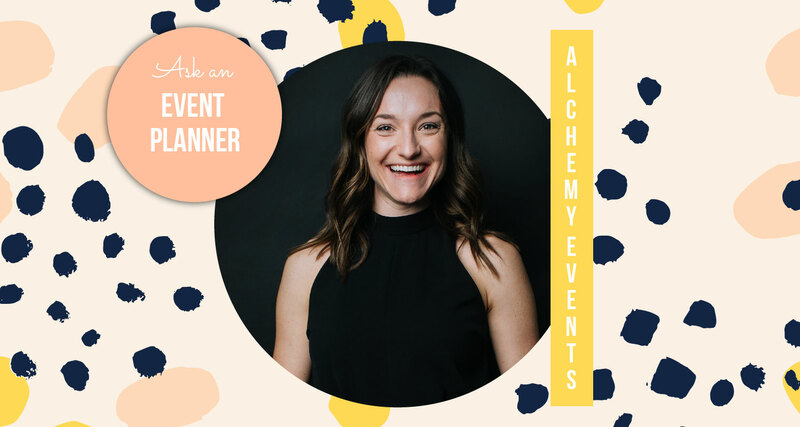 So, we reached out to Richelle of Alchemy Events and requested she step out from behind the curtain and break it down for us. Next up, tables and chairs. Spatially, they take up most of the room on the floor and therefore set the tone of the design. Standard 6 foot tables and linens get the job done but can be a bit tired, so I love harvest tables and/or something fun like Moontower’s Palm Leaf cafe tables as a statement item! This should maybe be higher on the list, though it’s definitely a “nice to have” when the budget allows. I’ve always believed the number one way to impact a space is with lighting. It’s a relatively inexpensive way to bring a lot of color and texture to a room, and can completely transform the mood of a space. It’s like magic! What’s a party without a bar?! One of my favorite items for really elevating an event is a bar that matches the rest of the decor. We’ve used this Americano Wood Bar several times and our clients and guests love seeing a custom design, logo, or menu on the furniture! We could keep going (and often get to when designing events for our clients!) with items such as plants, tents, tableware, etc. The most important point is making sure that as you add party rentals to your list, make sure they fit the overall look and feel in order to really make an impression on your guests.